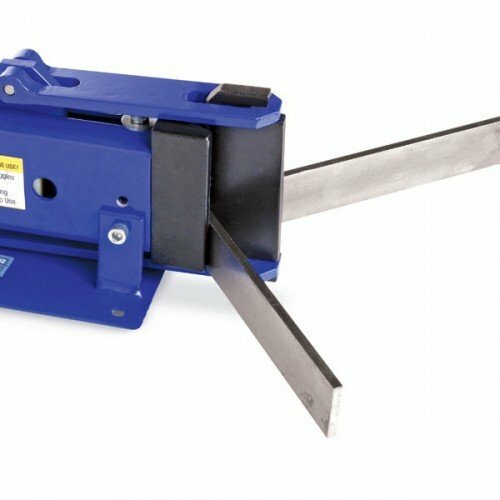 The Eastwood 4 inch Metal Bender is a compact but strong metal bender that is capable of completing precise bends up to 3/16th inch thick steel at full width and 90 degrees. Simply mount the bend on a work surface and start bending your desired material. 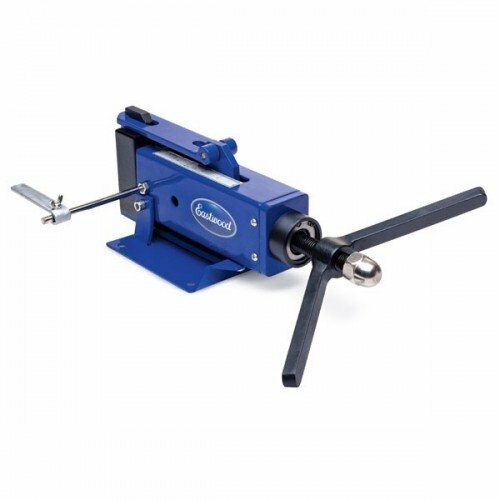 No need for a full size hydraulic press that takes up a large amount of space in your shop. Save space and time when bending suspension brackets or seat mounts for your project. NOTE: For mild steel only. High carbon steel and stainless steel allowable thickness will be less while aluminum thickness will be higher. • Average Maximum Expected Material Bending Capability. NOTE: Material thicknesses shown are for mild steel only. High carbon steel and stainless steel thickness will be less while aluminum thickness will be higher.